Brother José María Ferre, who has been Secretary of the Superior General during the past six years, said that he feels very satisfied with the document on the identity of the Brothers, which has been recently published by the Vatican. 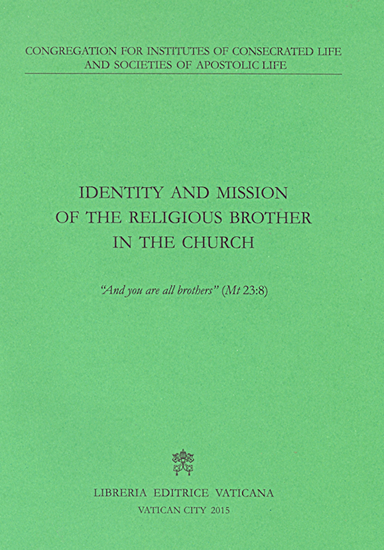 It is the document that bears the title ‘Identity and Mission of the Religious Brother in the Church’ published by the Congregation for the Institutes of Consecrated Life and Societies of Apostolic Life (CIVCSVA) on August 15. 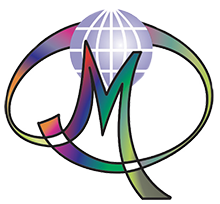 In an interview with the press office of the general house, Brother José María Ferre gives us his opinion on the new official document of the Church. The CIVCSVA (Congregation for the Institutes of Consecrated Life and the Societies of Apostolic Life) has just published this document on the vocation of the religious brother. Have you read it? What do you think about it? Yes, I have read it rapidly. And the first thing that I feel is a great satisfaction. It is the first time that the Vatican publishes an official document on our vocation of Brothers; it is a way of supporting and of making known our identity and our mission. In some contexts, the vocation of the religious brother is not easily understood. This is true. Many persons know the religious sisters and the religious priests; but they do not always understand the life-style of the Brothers: consecrated men who maintain their lay condition. And, nevertheless, historically, religious life was born this way, as a lay state. It is addressed not only to the Brothers but to all the persons who want to know, appreciate and promote the vocation of the religious brother in the Church, whether they are lay, priests or Bishops. The document says that given the similarity between our vocation and that of the religious women, there are some elements that can also be applied to them. It is not an encyclical or an apostolic exhortation. Like other similar documents, it is an “Instruction” issued by the Congregation for Institutes of Consecrated Life, with the approbation of the Pope. That is, it is an official document of the Church. It is similar to others such as “Starting afresh from Christ” or “Fraternal Life in Community”, published by the same Congregation. On the other hand, it is a document that cannot be taken isolated from the others; many of the concepts used here appear explained and commented upon in other ecclesial documents. What does this document mean for you Brothers? I do not believe that the document will make us discover our identity in the Church; the Brothers have existed and have been living their vocation during many centuries. But, there is, no doubt, the fact that the document offers guidelines to understand our identity better, to update it, to insist on some essential points. Are there many religious brothers in the Church? We are the fifth part of the total number of religious men. Some belong to clerical Institutes; others to mixed Institutes. Others are integrated in the lay Institutes, also called Religious Institutes of Brothers, like we. Others are members of ancient Orders. We all have a common denominator by the fact of being Brothers, even though after there are differences in the style of living our vocation and mission. How does this document consider or approach the vocation of the Brother? The document is based on the notion of Church that Vatican Council II developed: a Church which basically is a community, a communion of believers in Jesus. This is what is essential. After arise the different Charisma, functions and services. 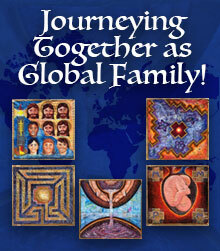 The document insists in what unites us and in what we share with the whole People of God: the fact of being brothers. And how does it develop the identity of the religious brother? The key word is: fraternity. In the People of God the religious brothers are called to live and proclaim the fraternity of Jesus. This fraternity is a gift that we receive (to reflect the life of Jesus-brother); fraternity is a gift that we share with our community of consecrated brothers; and fraternity as a gift that we give to others, above all to those in greater need. Is there something new or original in the document? More than new or original, I see that the document is very well founded biblically and with many references to other previous documents of the Church, especially Vita Consecrata and Christifidelis laici. I find that the development that it does of our vocation of brother is interesting, through biblical icons as well as institutional and actual ones. Perhaps it may be difficult that a document for the whole Church can give concrete details. Yes, this is true. It is not the same, for example, a Marist Brother in Europe than a Trappist Brother in Oceania. But, well, the document does present concrete levels when it deals with themes such as formation, the elderly brothers, the prophetic aspect. It will be necessary to make a cultural interpretation according to the contexts, but I see that it is sufficiently integrated, unified. Does the document open some future perspective for the vocation of the religious brother? As good as it is, this document does not intend to be the last word concerning the vocation of the religious brother. What is more beautiful, as I already said is that the Church, for the first time, offers us a very updated and profound synthesis of the identity of the brother. It will be necessary to read it, meditate it, share it and allow oneself to be challenged by it. 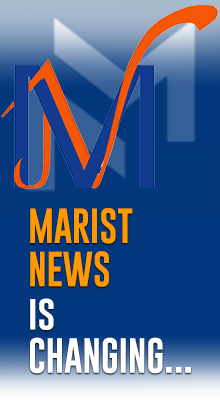 As a Marist Brother, I like the document’s reference to the figure of Mary. Although it is just a page within the document, it presents Mary as an inspiration in our life of fraternity.